First off, let me say I'm grateful for so many things. Electricity, running water, and modern cooking conveniences. 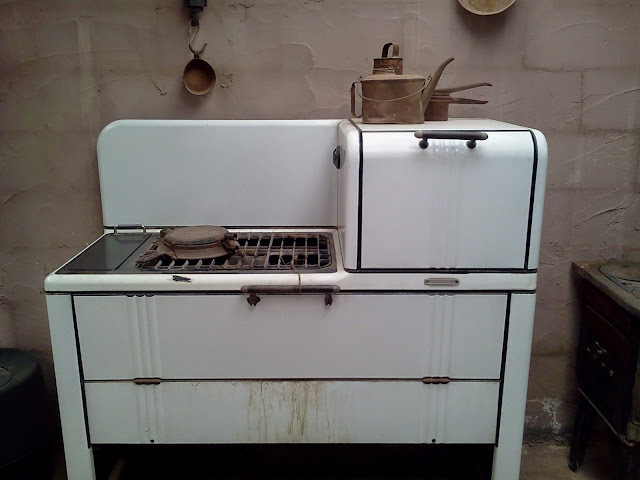 However, that being said, I did learn to cook, somewhat, on a stove very similar to this. 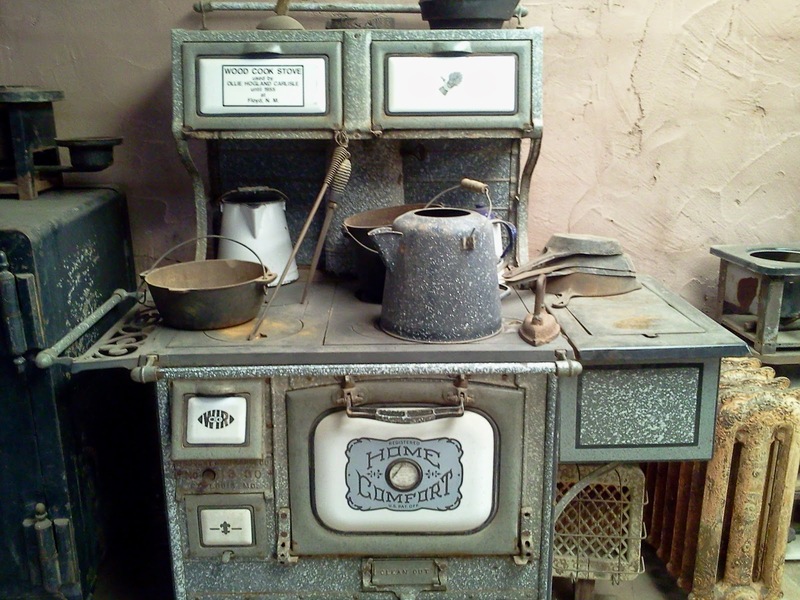 It had a gravity fed sawdust chute on the back of the stove, but then the stove was converted to use fuel oil and that made for better performance. But I am still amazed at all the delicious meals my mother prepared on that stove. The solid top held the heat and you could move the soup pot around to where it had more heat or less heat to cook. I remember opening windows in the winter when we were making cookies, cause the heat from the stove heated the kitchen so very well. And never mind how well the heat from the stove heated the upstairs in the farmhouse as well. Which was fine in the winter, but the summer? not so great. 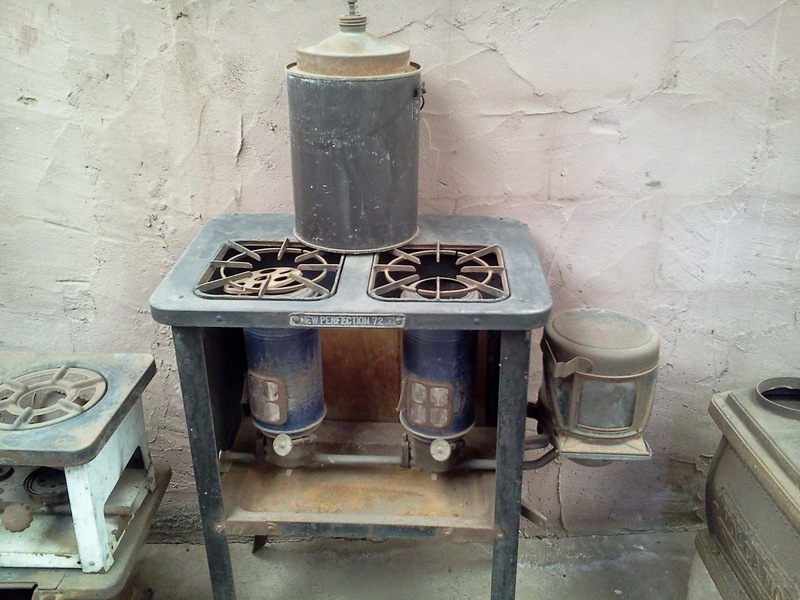 And how about trying to cook on this? 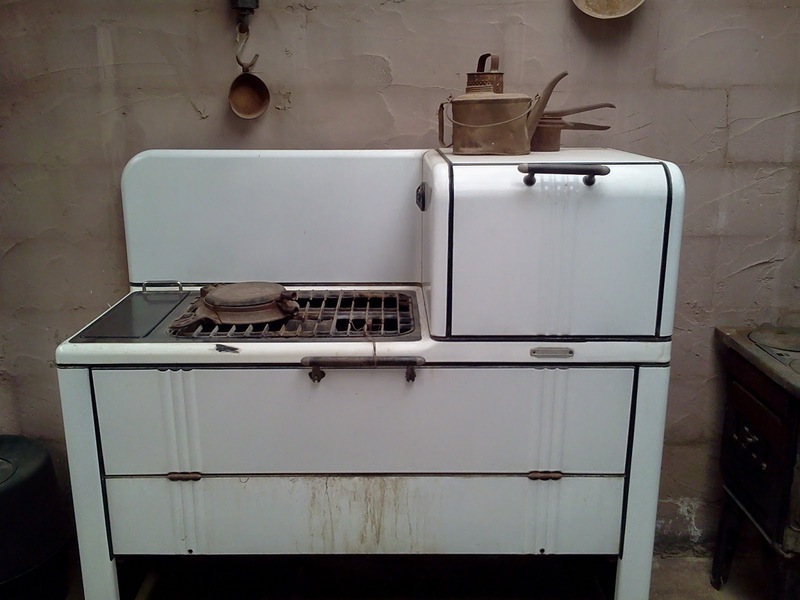 Or this, but then again, this one does remind me of an Aga cooker, and is actually quite modern. I was lucky enough to be able to tour the Billy the Kid Museum in Ft. Sumner, NM recently and took out my trusty phone and took pictures with that camera. And why did I did I start thinking of how lucky I am? 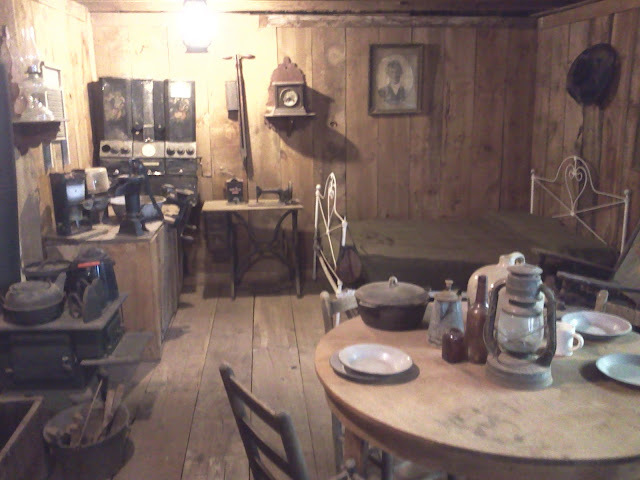 A typical homesteader's cabin. One room, and not much in the way of possessions, however, I'm betting they turned out some great food anyway. I'll return you to my regularly scheduled litany of recipes soon. I've got a few doozy's coming up. But for today, I'm heading over to the Senior Center and I'm going to make some Mexican food in honor of Cinco de Mayo.